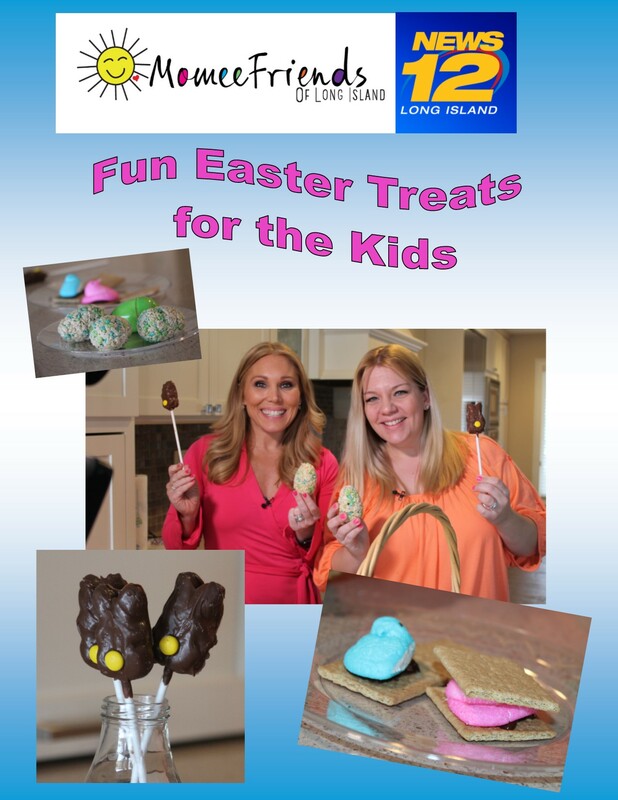 Do you have kids at your dessert table this Easter? 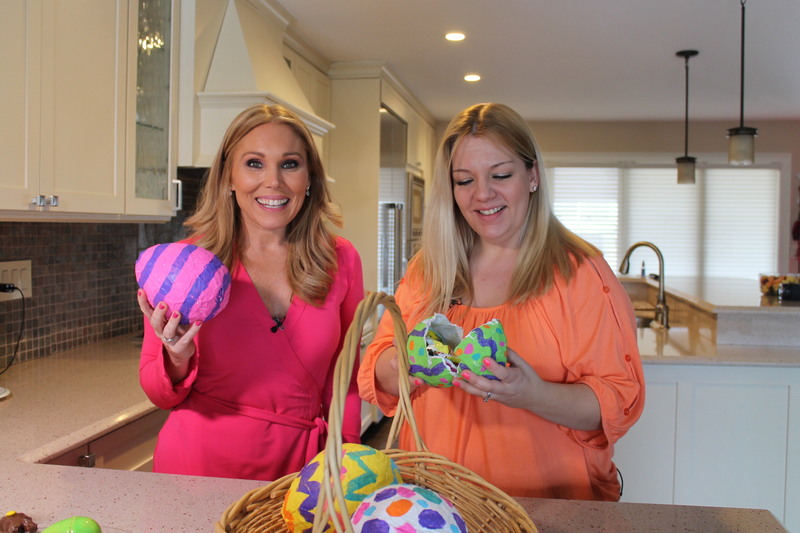 Whether it is at home or in the classroom we have you covered. 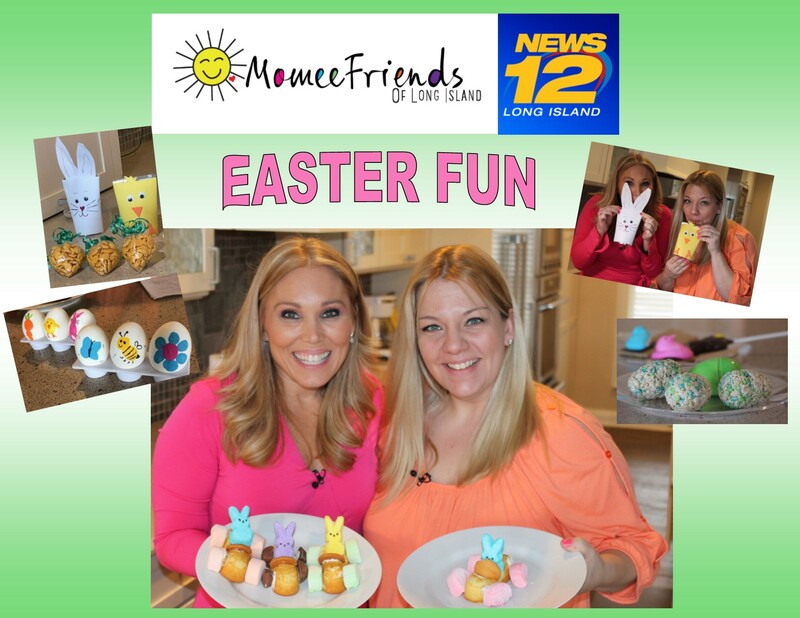 Elizabeth Hashagen and Anne Caminiti have fun eating and preparing edible festive treats for your next Easter party with the kids. 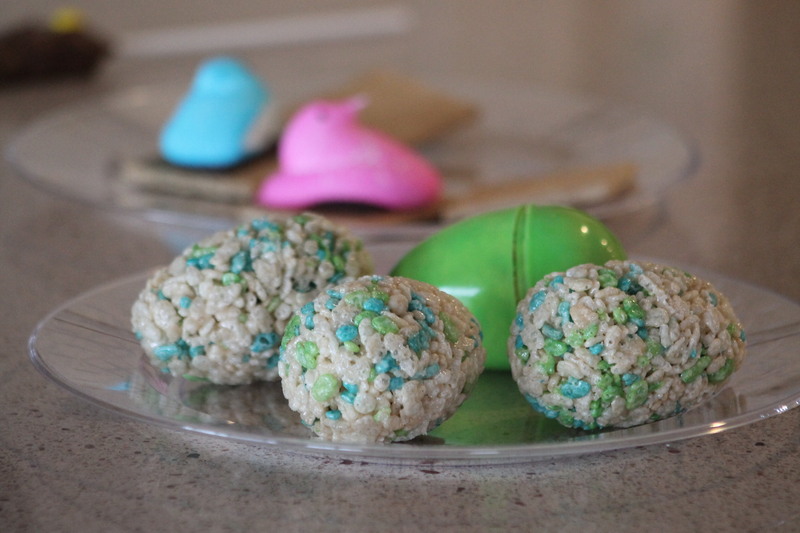 You have the Graham, you have the chocolate and the mallow and then you top it with another graham … but what if you replace that mallow with a peep for Easter? 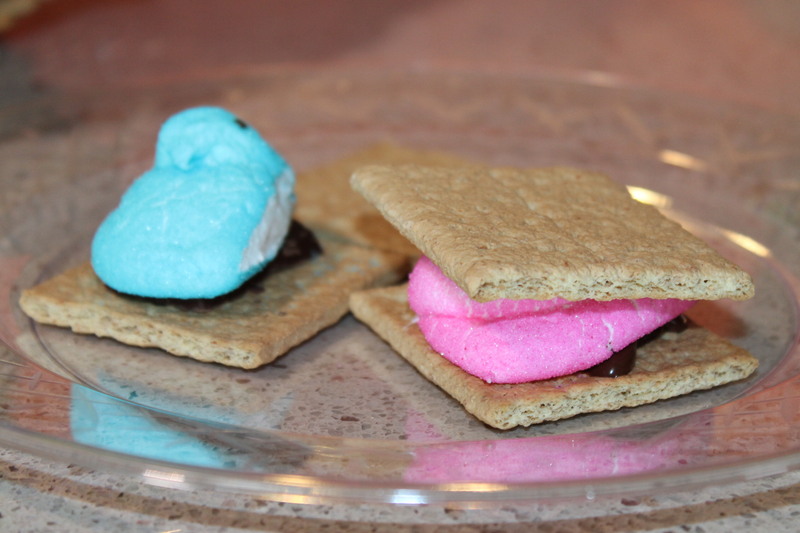 Make a smore but replace the marshmallow with a peep! 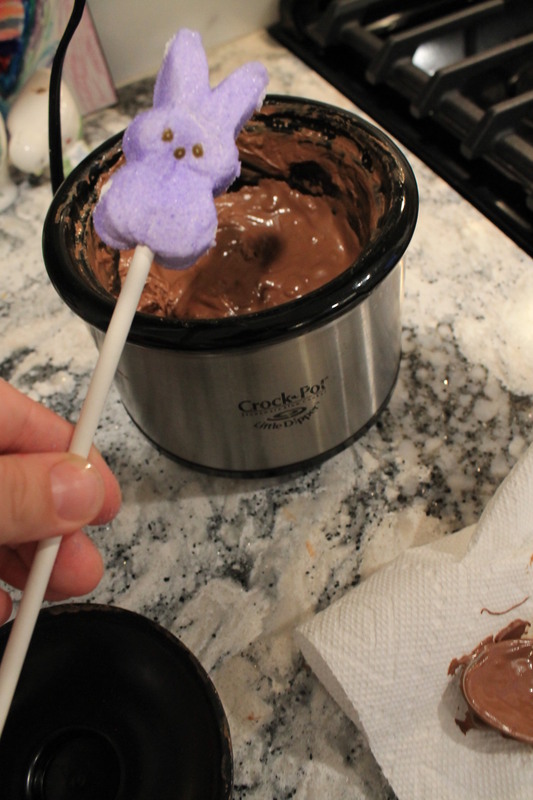 When you are making a smore in your microwave make sure to only put the smore in for about 8 seconds anymore the peep will explode! 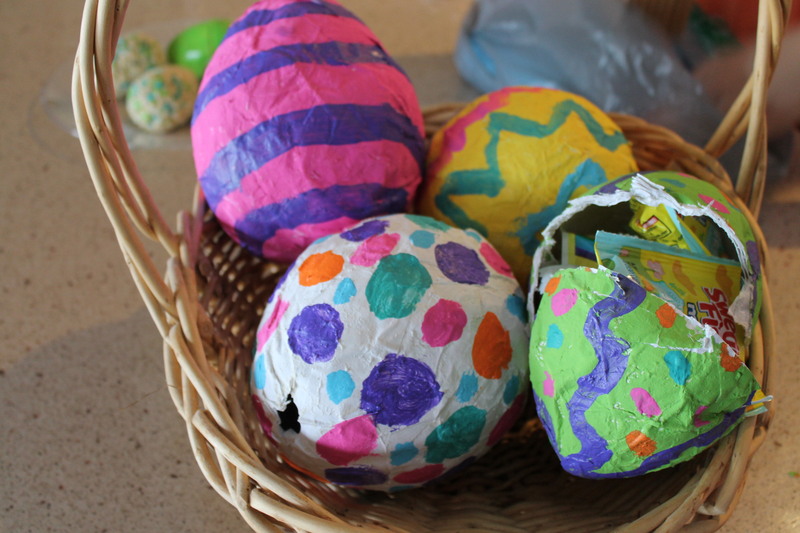 An inexpensive way to make a fun DIY egg decoration, activity or mini pinatas for your next Easter party. 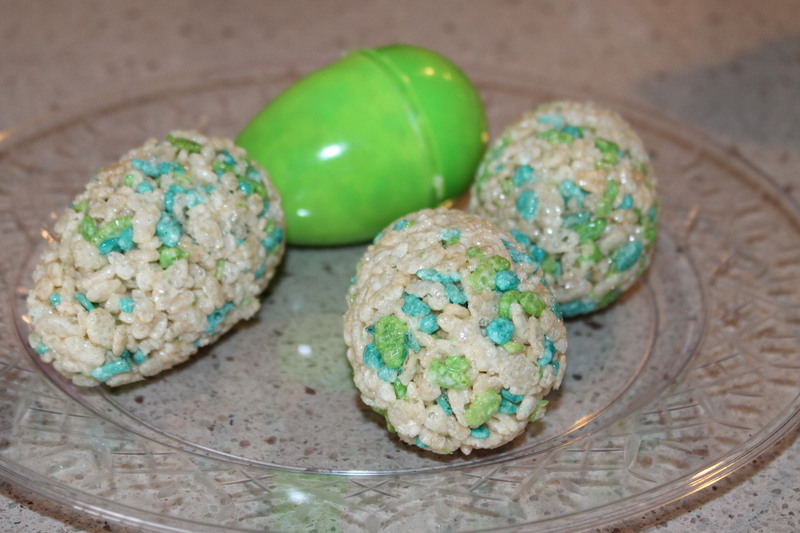 Make your Rice Krispie Treat recipe and by using a large plastic egg you can form each side of the egg place about 3 to 4 jellybeans in the middle then close and push tight to form a full egg. 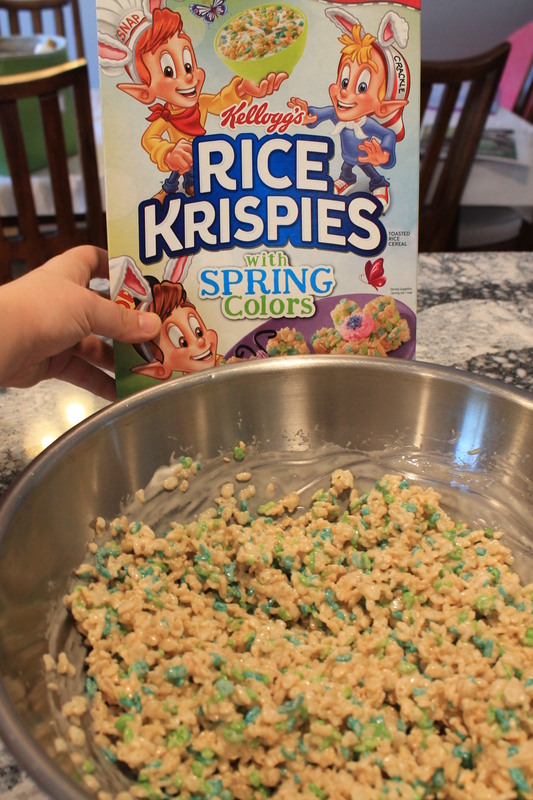 When the child opens the Rice Krispie treat there will be jelly beans inside. 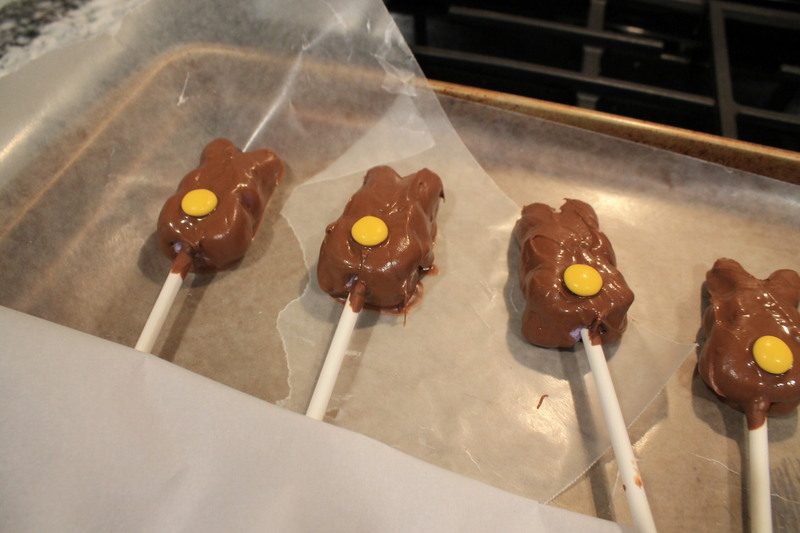 Simply Melt your favorite chocolate, put your bunny Peep on a lollipop stick and dip into the melted chocolate. 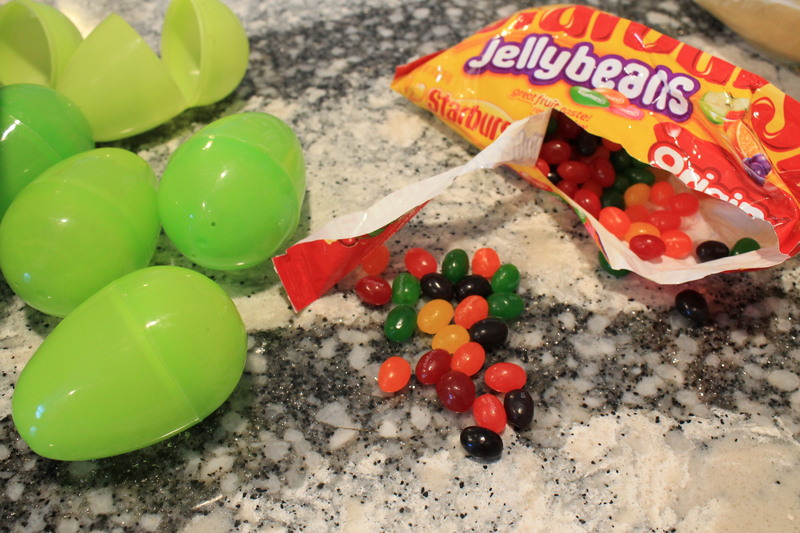 Refrigerate on Wax Paper for 10 to 20 minutes. 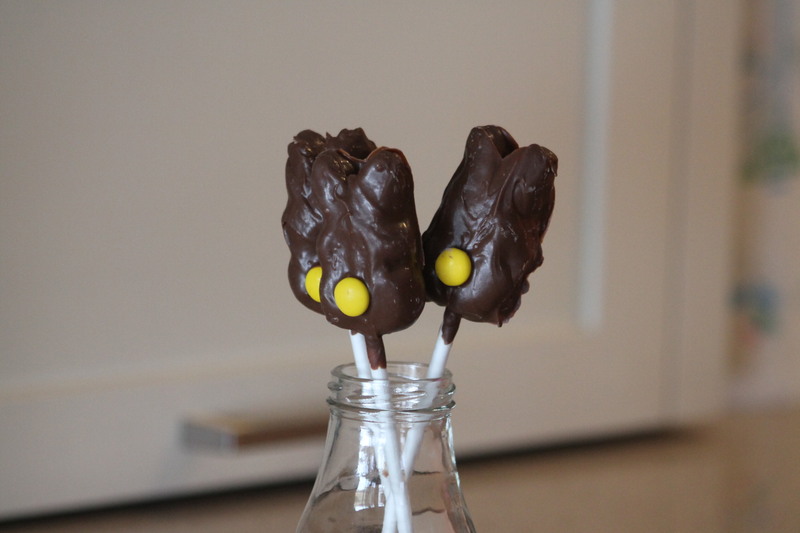 Then place an M&M on the bunny shape for a Bunny Tail. 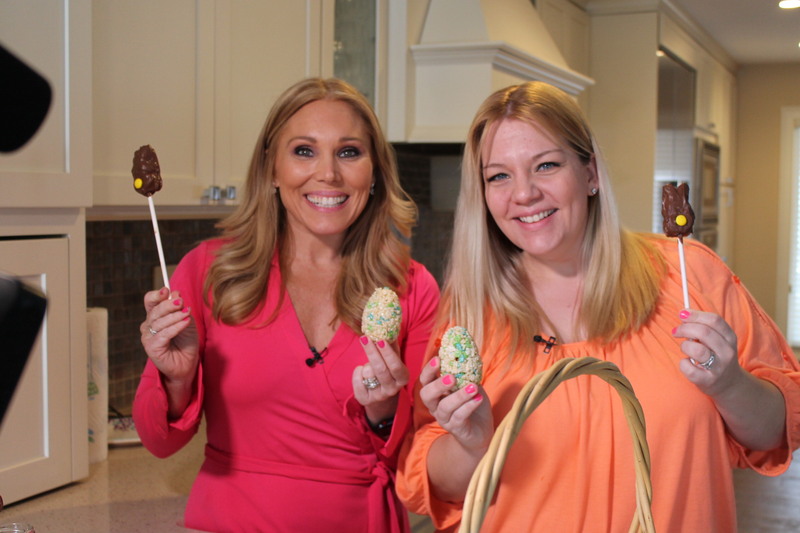 We hope you have as much fun eating these fun desserts as we did making them!